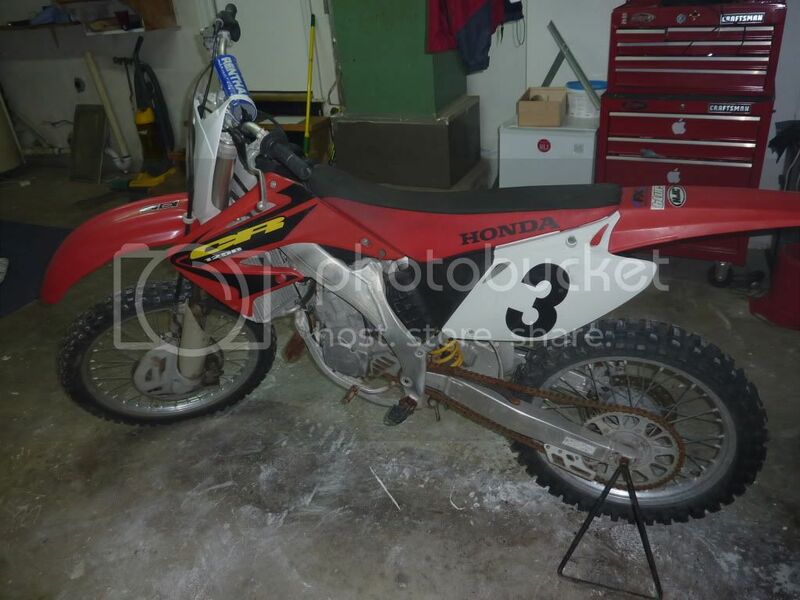 I've got a 03 Cr125 that I've had for about 5 years, but never done any real maintenance besides keeping it running. It's in a pretty neglected state, I've barely ridden it in years, and I want to get it back to better than ever. I'm a complete newbie, never done anything mechanical like this, but I'm fairly handy and up for the experience. 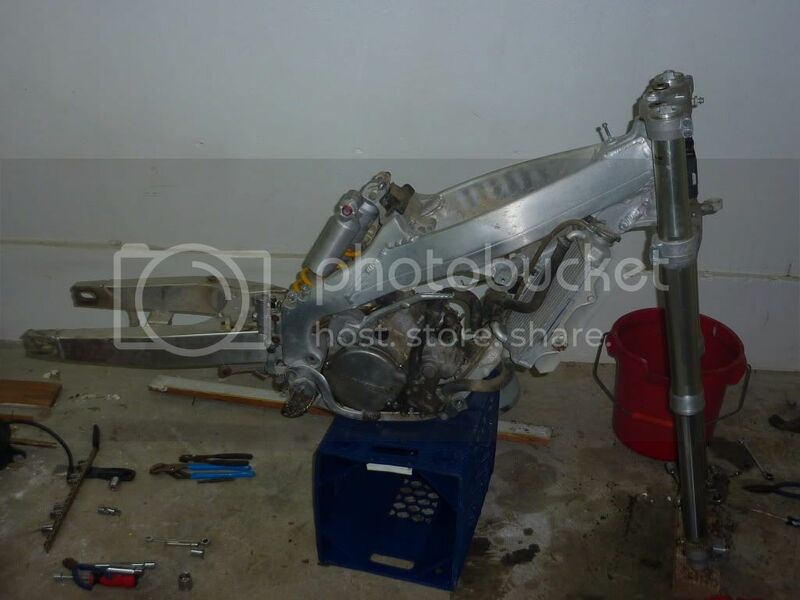 Plan : I'm going to rebuild the top end, reseal the forks, replace the reed valve, exhaust system, brake lines/pads, sprockets/chain, figure out jetting. There's many rusty bolts I'd like to replace. Already dealing with 1 helplessly stripped bolt holding the exhaust port to the cylinder. I just got the service manual in the mail and took the bike half apart to see what I'm getting myself into. I'm going to do a large Parts Order from MotoSport.com any day now. Looking forward to building a fast bike, and my ears are open to any input. I'm sure I'll have some questions, and I appreciate your time. grip-tote sockets, they are made for situations like that. you take anymore pictures, it hurts to look at that kind of neglect. Also, please remove the chain and CS sprocket before you take anymore pictures, it hurts to look at that kind of neglect. I was wondering why my eyes keep tearing up looking at the post. Okay the chain and sprockets are gone Looks like grip-tite sockets aren't made in less than 10mm, I need an 8mm. I'm not sure how I'm going to get the bolt out, it's not pretty. I'd prefer to avoid taking it to a shop, but I will if I have to. I don't want to really want to disassemble the rear shock, but I want to service it and change the fluid. 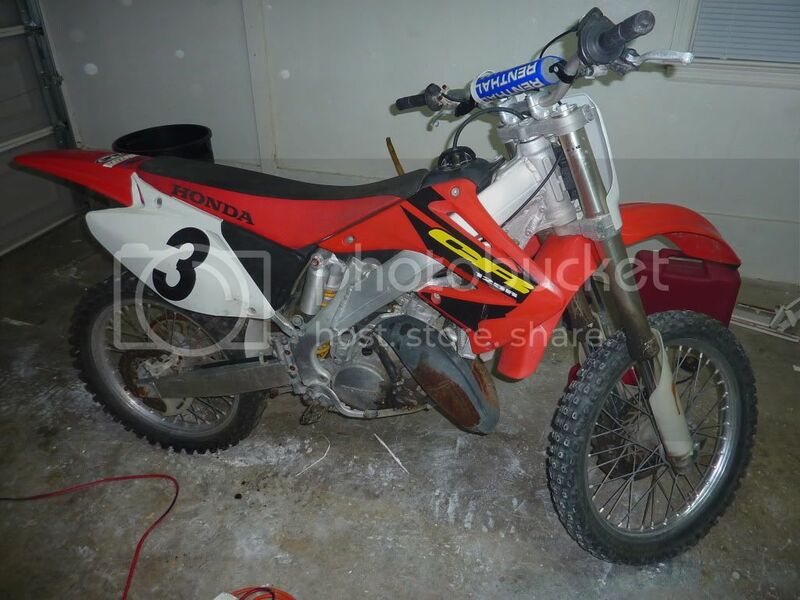 The service manual isn't very clear here, but should I take the shock off the bike, replace fluid and nitrogen? 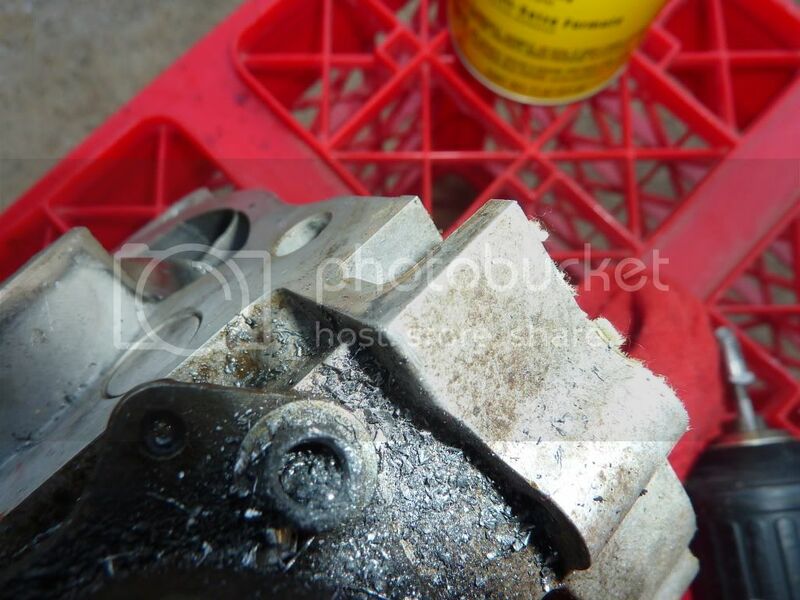 use the vice grips again on the exposed portion of the bolt. special tools and Nitrogen. I recommend you send that job out. if your going to rebuild it THEN maintain it correctly, plan on using some professional help from time to time. I would recommend to take the stripped bolt to a reputable shop if your a less experienced person- no sense in doing more damage if you can help it. To save some money, re use your old pipe untill after your build. just clean it up and paint it- you may need some more unexpected parts and that pipe money wil come in handy. 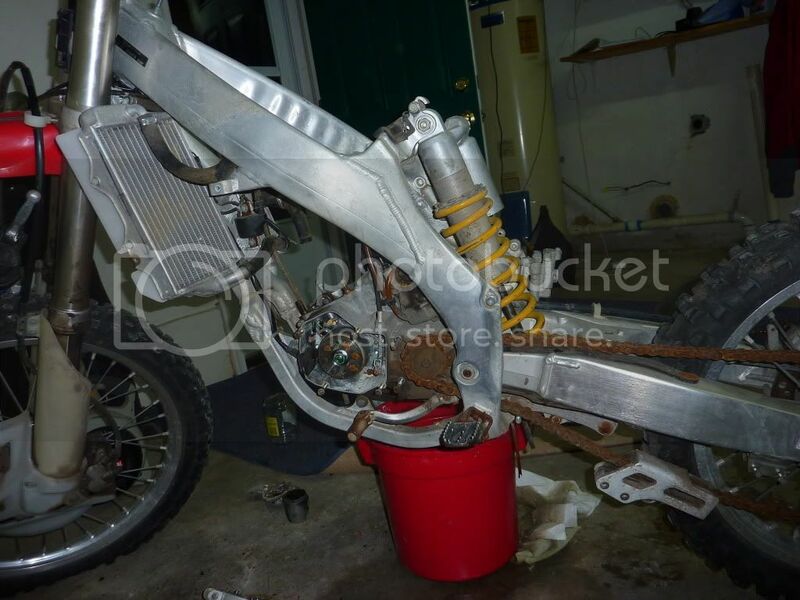 I would also recommend to replace all rear swingarm and rear shock bearings. good luck, update with some pics...fun project! Thanks for all the advice !,I got the stripped bolt out with a craftsman bolt out kit. It wasn't cheap, but it worked very well, highly recommended. I'll be taking my forks off and apart as soon as i get the cap wrench. I'm polishing my big order. I'm still undecided about the rear shock I guess I should take it off the bike and take it to someone? approximately how much would that be??$. I think the linkage is okay, I just need to replace some rusted bolts and grease it up. There are quite a few competent suspension shops to send your shock to. from the pictures. Bearing kits are available from Pivot Works and others. 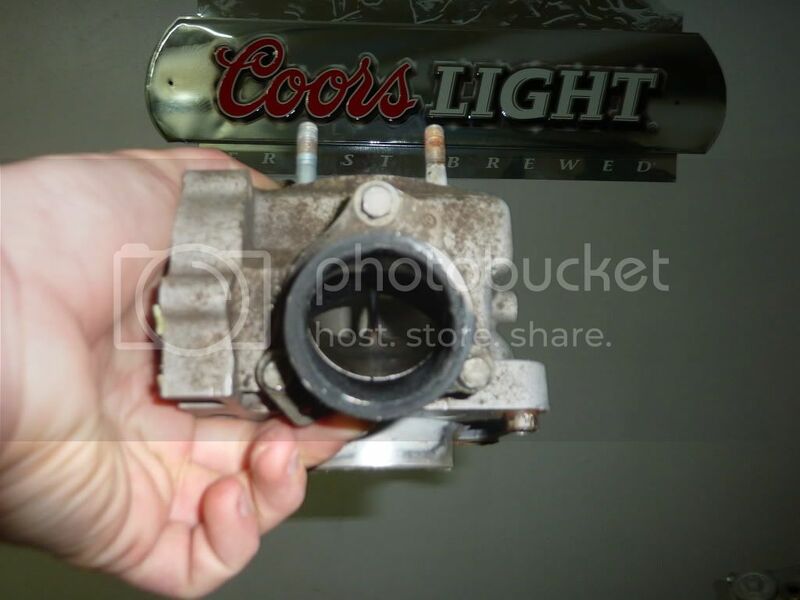 surprises as your "laundry list" of needed new parts keeps growing. Dogger, you are the man I need to meet!! In 40 years I have never been able to grind off a bolt head, put a slot in the bolt shaft and get the darned thing to come out WHEN your original suggestion failed (vise grips). Heat is my friend as well when doing these projects. I have resorted to just about everything under the sun. The so called easy outs are a total misnomer as far as I an concerned. For those who like to redo the older than 2 year old projects where spray washing is the order of the breed, a drill press and some of those short fine ridged easyouts that Mac and Snapon sell are a must. get your small visegrips from someone who sells real quality too. It pays in that situation. They tend to work best when fresh of course, so put them in the back of the tool box just for such occasions. If I were trying to get that bolt off, I would take a hammer and do some serious tapping so that the head of the bolt is somewhat mushroomed out. Find an appropriate sized socket (impact sockets work well) and drive it on. Now see if after heating the heck out of it with a propane or mappgas torch you can get it out. cylinder and used a Phillips T-handle to remove the bolt without any drama. grips. With the exhaust flange, I'm fairly sure the heat is what made it work. How do you prep yours? threadlock? I was going to suggest some never seize, and frequent removal. Now I want to see that craftsman kit mentioned. Dogger, I hear you on using every thing in the arsenal. One of my favorites is to get a nut and weld onto the round head. easily done with a wirefeed. I find surprisingly few have that every so handy welder though. seize, dielectric grease, ti-prep, oil, grease, etc. the neglect from many owners and the results are predictable. something very cool on a regular basis. 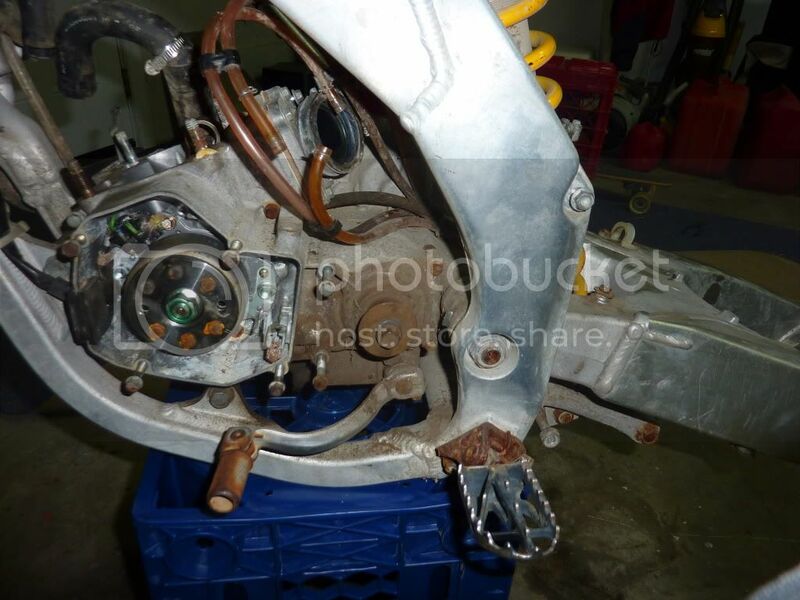 I would fix all the rusted bolts and get new chain and sprockets also hows the bike run? just to be on the safe side of things.